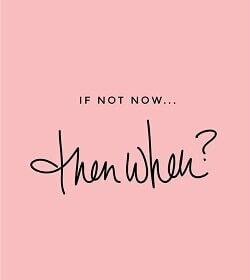 There’s (almost always) no time like the present… And the same holds true for egg donation. Nurture donors are required to be between the ages of 19 and 32 – and there’s a very good reason for this age limit! A woman is born with a set amount of potential eggs – around 2 million. Each month, our body preps a certain amount of these egg follicles for ovulation (estimated by doctors to be upwards of 1000 per month) – but (usually) only one egg takes centre stage and is released from the ovary. This egg is the superstar of that month’s batch – basically the Beyonce of your ovaries. It’s the one that the body decides has the best chance of being fertilised, becoming an embryo and then a happy, healthy baby. The rest of the unused follicles are reabsorbed by the body and lost – unless you give them a boost with fertility medications to help bring them to maturity. However, as you age, two things start to happen: The number of follicles that your body loses each month accelerates, and the body’s stockpile of superstar eggs starts to decline. That essentially means that a woman loses more eggs each month and has a higher chance of releasing an egg that is chromosomally abnormal – which could cause things such as Down syndrome or Cystic Fibrosis. Starting around age 32, a woman’s chances of falling pregnant each month start to decline. And, at age 35, that monthly decline starts becoming steeper. That doesn’t mean that as soon as you pop the bubbly on your 35th birthday you won’t be able to get pregnant – just that it won’t necessarily be as ‘easy’ as it could have been in your 20s. In a nutshell, you’ll be producing the highest number of ‘quality’ eggs before you’re 32 – which is music to ears of the intended parents looking for a donor!